The Canon DO lens technology helps to create smaller and compact lenses and we already have fullframe DO Lenses for EF Mount camera. But for the first time we came to know that Canon is working on a EF-M and EF-S mount DO lenses. 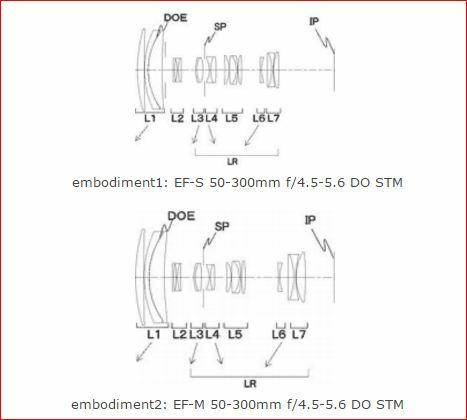 Both the lenses shares approx same core specification, The lens focal length 50-300mm, aperture range F4.5-6 DO and features STM (stepping motor for silent AF operation). However, both the lenses are missing Image stabilization and it will be bit hard to capture handheld shots at 300mm. Agree ! But at the same time no IS in DO EF-S Lens.